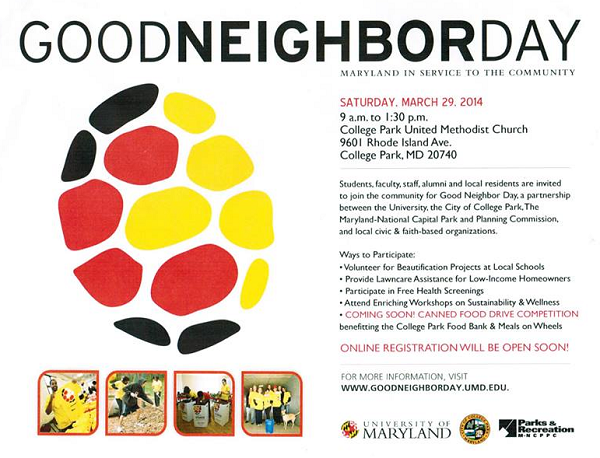 Don’t forget to join us for Good Neighbor Day this Saturday, March 29, 2014 at the College Park United Methodist Church. Good Neighbor Day is brought to you by the University of Maryland’s Office of Community Engagement. Details below.